Many of you will recall the original Albertson’s store on 16th and State Street in Boise. 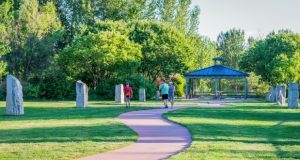 Joanie and I moved back to Boise in 1982 and lived on La Mesita Way near the old Simplot mansion. We shopped at that store almost exclusively and can still remember seeing Mrs. Albertson, Joe’s wife, pushing a grocery cart around the store like the regular folks. Their stores had an at-home atmosphere and their employees, an attitude that was charming and inviting. It was this combination that led to the enormous success enjoyed by Albertson’s stores and their customers. Albertson’s grew and the current CEO at the time led the chain to acquire American Stores and other smaller chains developing a nation-wide presence. In expanding they found the formula that worked so well in Idaho was not easily superimposed on the cultures of other stores that formed the chain. The scope was just too big and stock prices waned. The board of directors brought in Larry Johnson from General Electric to bring positive changes. Johnson had no experience in local marketing and his previous leadership abilities were not enough to reverse the decline. Finally, SUPERVALU bought the most profitable stores in the chain and Cerebrus Investment firm brought in a group of old Albertson’s employees to buy their least profitable stores. The employee group began to apply the same principles they had learned at the side of Joe Albertson. SUPERVALU continued their slide, but this new entity of former Albertson’s employees thrived. In 2012, Cerebrus and the employee group bought Albertson’s and other chains from SUPERVALU and began the process of returning back to a more personal atmosphere focusing highly on customer service. Today you see that philosophy on display at the Eagle Albertson’s store. 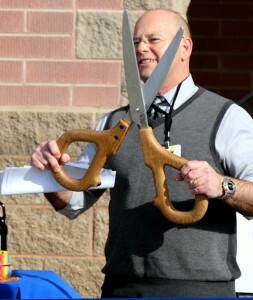 Tom Holloway has weathered many changes and is delighted with the innovations at the Eagle Albertson’s. 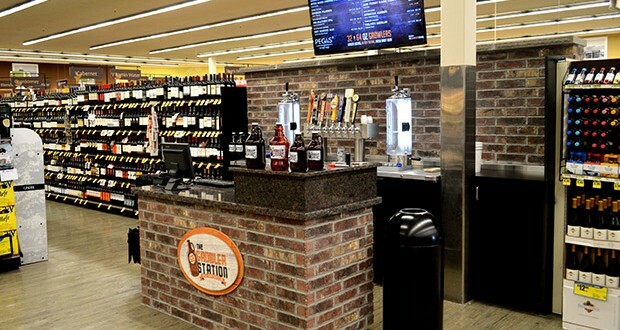 In the bright and cheerful ambiance, you will notice the new Growler beer system where a variety of local craft beers are offered in refillable containers that are sealed and pressurized with CO2. 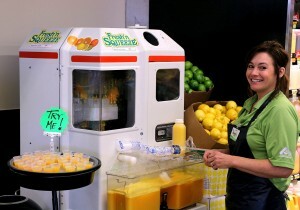 Also new is the juicer section, where orange, citrus, carrot and others juices are available to the health enthusiast. Tom assures customers that the spirit of Joe Albertson lives on at the Eagle Store.